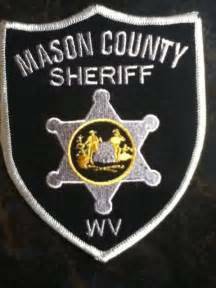 The Mason County Sheriff’s Department reports the following arrests made Sept. 4 – Sept. 23: Zavery McNeil, 18, Letart, capias, arrested by Cpl. Rhodes. Damon J. Gibbs, 53, Mason, driving while revoked for DUI, arrested by Deputy J. Peterson. Chad M. Jodon, 29, Point Pleasant, DUI, arrested by Sgt. Varian. John D. Adkins, 36, Milton, possession of methamphetamine, DUI-Drug warrant, arrested by Cpt. B. Peterson. Brie-Anna T. George, 19, Point Pleasant, capias, arrested by Sgt. Varian. Jesse I. Smith, 39, St. Albans, improper registration, driving revoked for DUI, false inspection sticker, no insurance, arrested by Deputy Ferrell. Paul W. Matheny, 38, Leon, capias, arrested by Deputy Ferrell. Mike L. Fowler, 52, Gallipolis Ferry, domestic assault, arrested by Deputy Ferrell. Robert W. Minuck, 60, Hartford, DUI second offense, arrested by Dept. J. Peterson. Richard Frank Alan Long, 35, Point Pleasant, capias, possession of controlled substance, arrested by Deputy Ferrell. Kenneth A. Greenlee, 28, Point Pleasant, capias, arrested by Deputy Ferrell.